Description: This item is a CLASS III Firearm (or Device) and must be shipped to a licensed dealer in your state. Normally this item will ship within one week of receiving your dealer's FFL & SOT information. If you do not fully understand the process of purchasing a Class III item please feel free to contact us via phone. The .22 LR is a staple for suppressed shooters, and is often one of the first NFA purchases. Where most makers cut corners and dumb down their rimfire cans, we refuse. 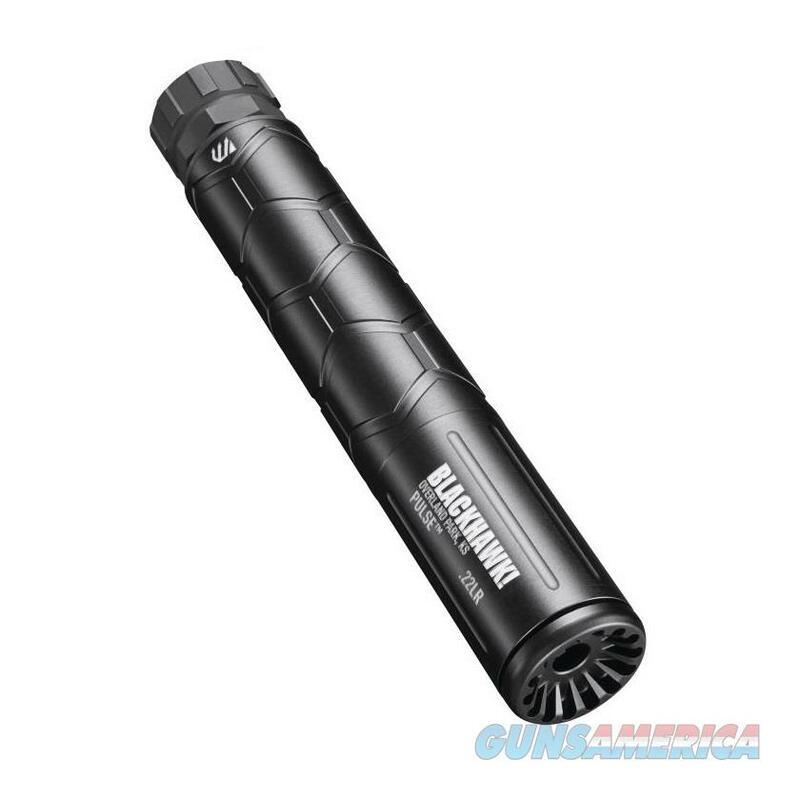 The BLACKHAWK!® Pulse™ .22 LR Suppressor is full-auto rated, with all the strength to handle magnum rimfire ammunition. The durability of the Pulse™ doesn't mean added weight. In fact, the Pulse™ weighs only 5.3 oz. Metering at 114dB on .22 LR, the quiet first-round "pop" and overall sound performance is best-in-class. Hardened stainless steel baffles seal in hot gasses and can be easily disassembled for cleaning with the included Universal BLACKHAWK!® Suppressor Tool. KNOW YOUR STATE AND LOCAL LAWS BEFORE PURCHASING!